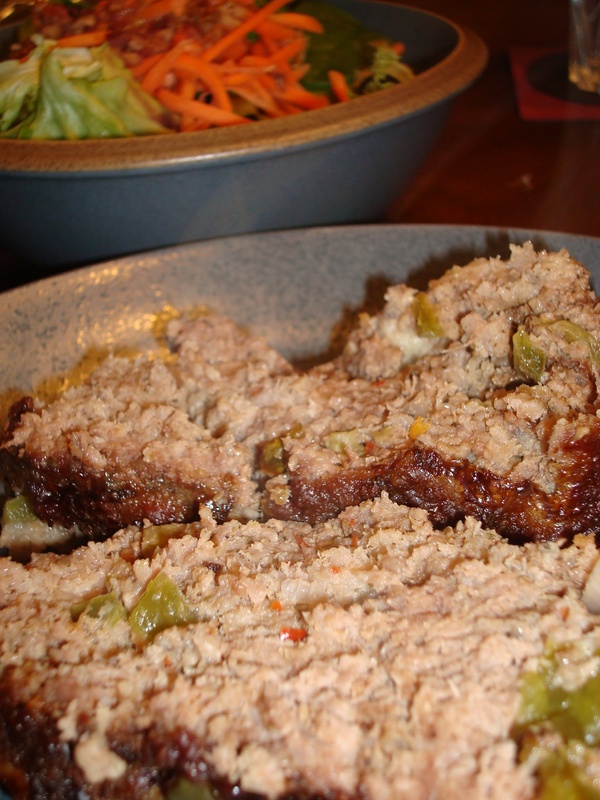 It is amazing to me that I have not told you about this wonderful, awesome, easy recipe for the best-smelling traditional supper: meatloaf. It is so yummy… especially after you’ve been smelling it cooking in your oven for two hours! The recipe has been my staple for many years, thanks to my lovely mother-in-law. Place a strip of bacon on top. Bake at 350 degrees for 1 1/2 to 2 hours.